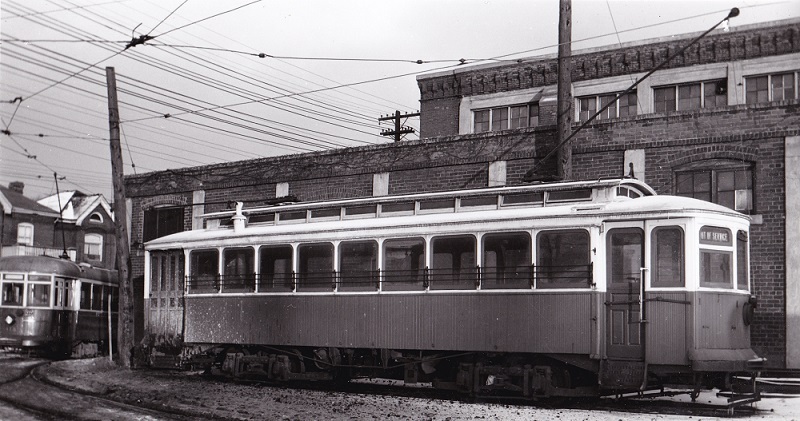 6 cars were built in 1906 for a Boston area streetcar operator. They were purchased in 1908 by the Cataract company, for use on their system. 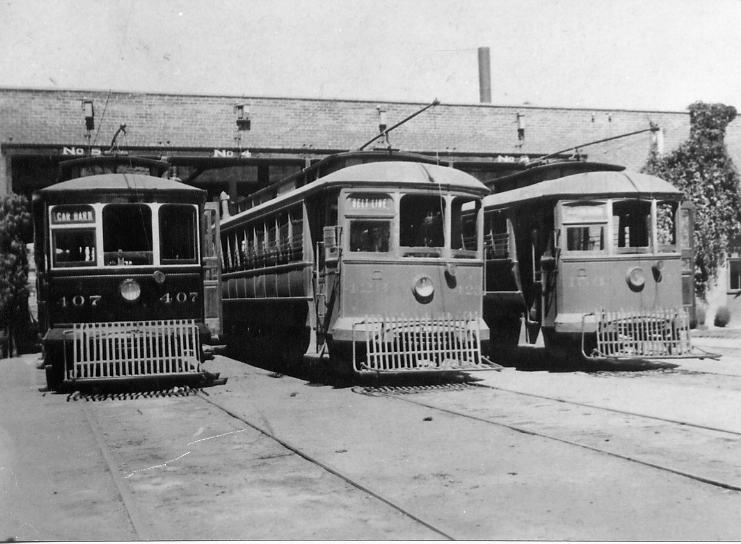 Five of the cars went to the HSR, and were numbered #117-119, #401 & #403, while the sixth became HG&B #159:2. 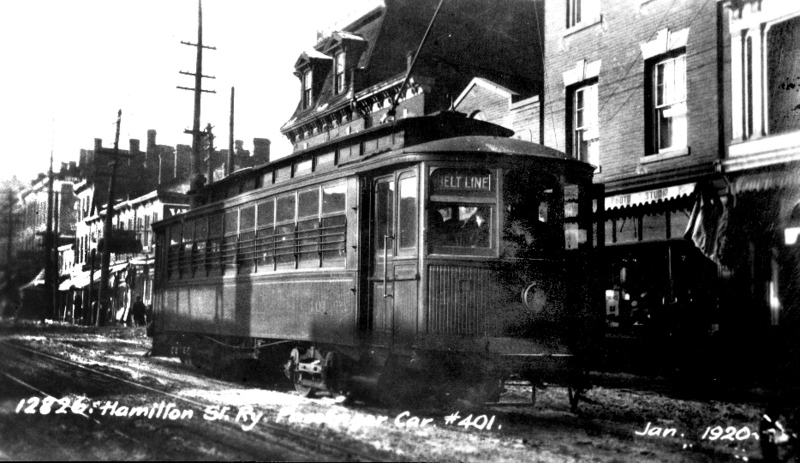 The HSR cars remained in service for a few years, before being completely rebuilt to the new PAYE (Pay As You Enter) configuration by the Preston Car & Coach Company in 1911 & 1912. 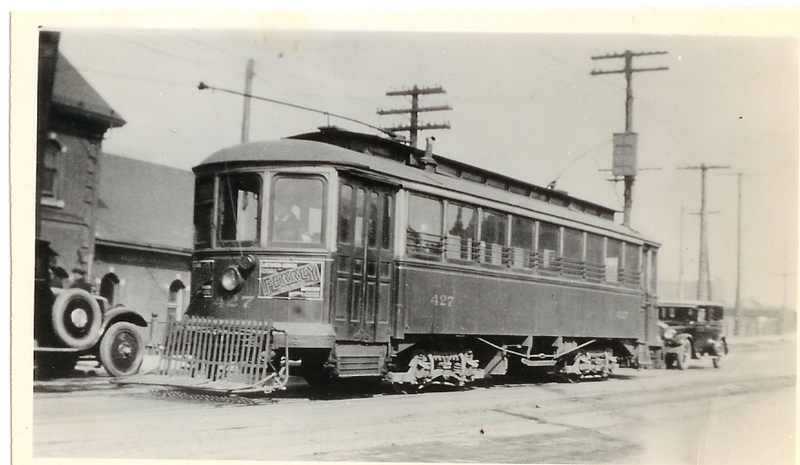 At this time HSR #117 and #118 were renumbered to #405 and #407 respectively. 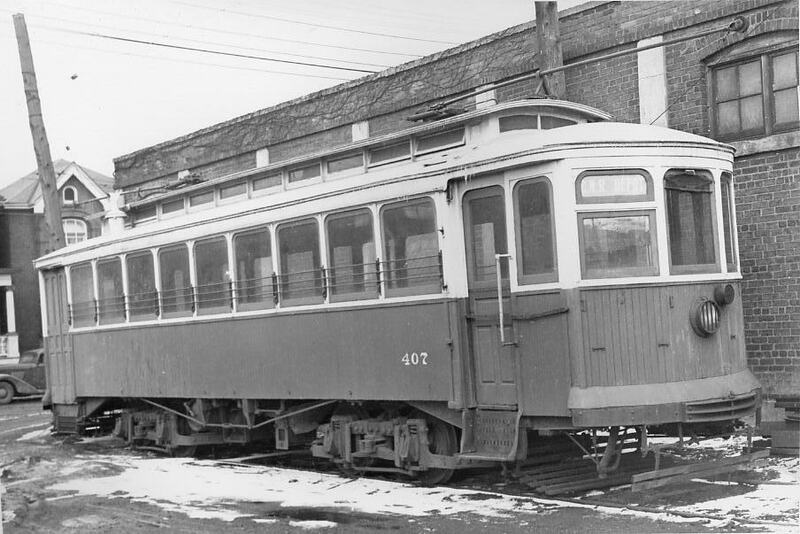 However the Ottawa DEDT cars (#409-425) had already been delivered, and so HSR #119 became #427. 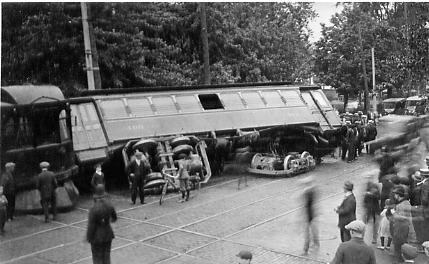 All of the cars were scrapped in 1934 except for #407, which somehow soldiered on till 1947. Some of the dates for these photos are unknown, and the locations are often just a guess. If you know either date or location, email me! 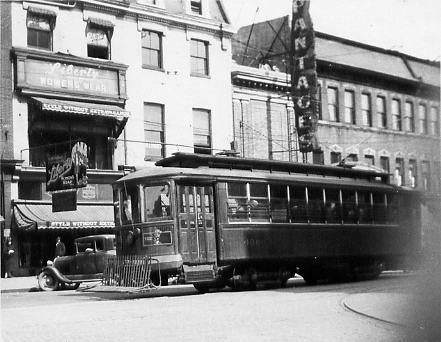 A Laconia car passes Gore Park in the summer of 1913. The flags are to celebrate Hamilton's Centennial. Copyright © 2001-2018 Tom Luton. All Rights Reserved. 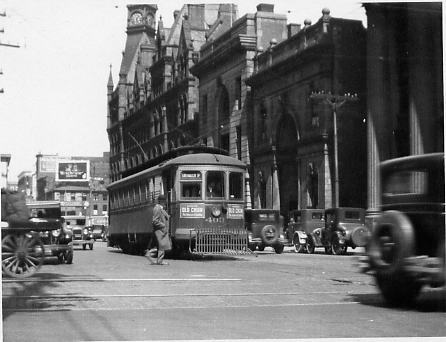 | hamiltontransithistory@rogers.com | Last updated December 1, 2018.